Tuki Brando is a Tahitian model. He is the son of Dagobert “Dag” Tuterau Drollet and model Cheyenne Brando. Tuki is the grandson of actors Marlon Brando and Tarita Teriipia (born Tarita Teri’ipaia). Tuki’s half-uncles are actor Miko Brando, and his half-aunt is actress Rebecca Brando. His great-aunt, Jocelyn Brando, was also an actress. Tuki’s father was of Tahitian, as well as some French and English, and likely around 1/4 Norwegian, ancestry. Tuki’s maternal grandfather’s ancestry included English, as well as Irish, German, Dutch, French Huguenot, Welsh, and Scottish. Tuki’s maternal grandmother, who was born in Vaitape, in the Anau District on the island Bora Bora in French Polynesia, is said to have been of half Tahitian and half Chinese descent. 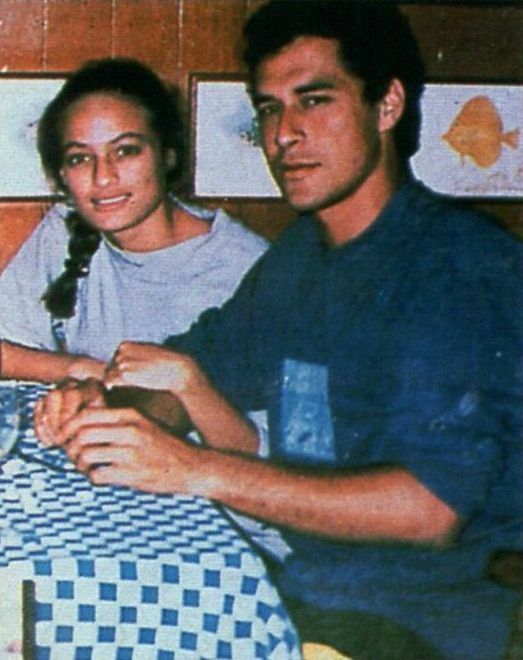 Tuki’s maternal grandparents, Marlon Brando and Tarita Teriipia, met on the shooting of the 1962 film Mutiny on the Bounty, in which Tarita played the love interest of Marlon’s character. A clip from the film, when their characters first meet, can be viewed here. A picture of Tuki’s parents, Cheyenne Brando and Dag Drollet, can be seen here. 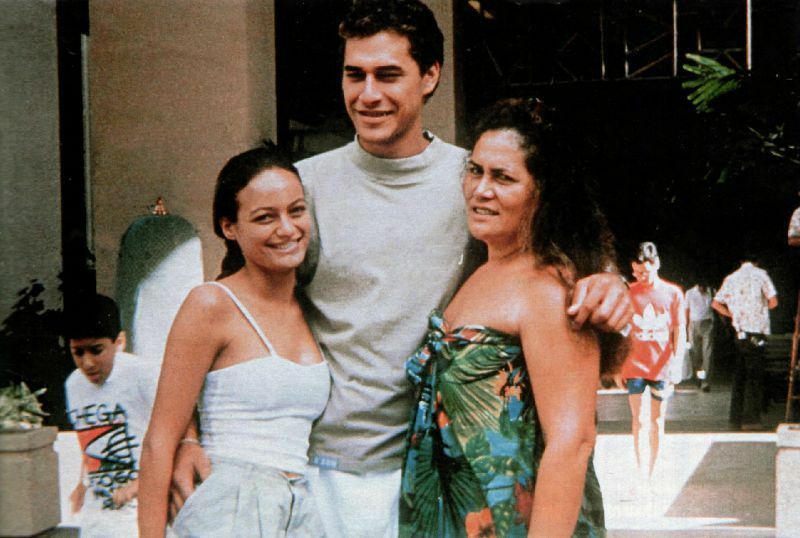 A picture of Tuki’s parents, with his paternal grandmother Lisette, can be seen here. Tuki’s paternal grandfather was Jacques Denis Uratua Drollet (the son of ? Gundersen and Henriette Vahinetua Tetuanui Hapaitahaa Farepua Drollet). The surname “Gundersen” is often Norwegian, but can also be Danish. Henriette was the daughter of Louis Hégésippe Sosthène Uratua Drollet and Raipoia Taimata Claudine Sarah Buchin. Louis was born in Pepeete, Tahiti, to a French father, and a mother who was likely of Tahitian and English descent. Raipoia was born in Papeete, Tahiti, to a French father, and a mother of half English and half Tahitian ancestry. Tuki’s paternal grandmother was Lisette Terorotua (the daughter of Vahio Maruae Terorotua and Maria Teroroputai Maitere). Vahio was the son of Maruae Pau Terorotua and Teipo Teipotemarama Poulsen. Maria was the daughter of Tuarae Maitere and Miriama Marotearii Urahutia. Miriama was born in Moerai, on the island Rurutu in French Polynesia. Tuki’s maternal grandfather was Marlon Brando (the son of Marlon Brando and Dorothy Julia Pennebaker). Tuki’s grandfather Marlon was born in Nebraska. Tuki’s great-grandfather Marlon was the son of Eugene Everett/Everet Brando and Marie/Maria Belle Holloway. Dorothy was the daughter of William Johnson/John Pennebaker and Bessie Grace Gahan. Bessie’s father was Irish, from Dublin. Tuki’s maternal grandmother was Tarita Teri’ipaia (the daughter of Teriichira Teriipia). Tarita was born in Vaitape, Anau District, Bora Bora, French Polynesia. Is there a picture that can be used? He has a quite interesting look from an ethnic viewpoint. He talks a bit about his grandfather in it.